One attorney’s most memorable case involved defending a husband in a custody battle. The wife and children accused the husband of committing horrific child abuse. In deposition, the young children recount graphic, detailed stories of how their father abused them. But the lawyer, who had previously failed to make it as an actor, notices something fishy when he examines the deposition transcripts. After recounting her tale, one of the children had asked, “Did I hit my marks?” The lawyer recognizes the question as acting jargon, and questions why the children would know that phrase. He subpoenas the wife’s personal checking account during discovery and finds payments for acting lessons. He tracks down the acting coach, who produces recordings of the kids’ acting practice. On the tapes are hours of “practice interrogations” coaching the children on imaginary things to say about their father. The father got custody of the children. A husband and wife, neither of whom smoked, fought tooth and nail over an ashtray from Vegas. Before the proceedings, the husband’s attorney explains what the cost will be to argue over the ashtray and offers to fly to Vegas and get him another one for $2,500. The husband explains that he doesn’t care about the cost of winning the ashtray because he plans to smash it on the courthouse steps if he wins. The couple spent $5,000 combined for their attorneys to battle it out in court over the ashtray. The husband won and followed through on his smashing. One man’s ex-wife attempted to hire a hitman to kill him. She spent two months strategizing with a hitman on how to do it without being traced. It turns out, however, that this “hitman” is an undercover cop. The cop tells his colleagues at the station, and they go to the ex-husband’s house and explain the situation. There’s one problem though – they don’t have enough evidence to do anything to the ex-wife because she hasn’t paid the “hitman” cop. And she’ll only pay him once the deed is done. Not willing to give up their chance at justice, the cops take the ex-husband out into a field, do him up with makeup, and stage photos of his “death.” The “hitman” brings the ex-wife the photos and arrests her as soon as she pays him. Instead of getting custody and the ex-husband’s $150,000 life insurance policy, the wife got four years in jail. One soon-to-be-ex-husband was desperate to keep his wife from getting any money. So, in an effort to outsmart her, he gave all his money to his girlfriend. But the joke was on him – the girlfriend broke up with him and kept the money. 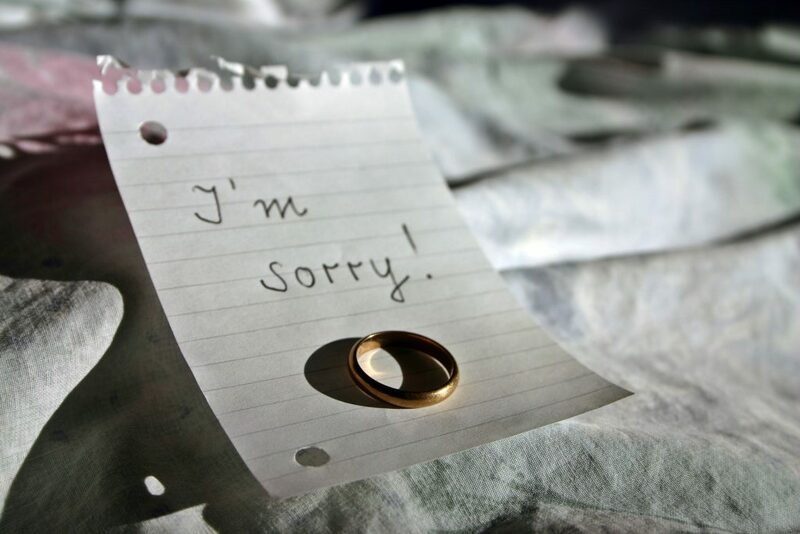 A couple in their late 60s, divorcing after more than 35 years of marriage, were attending mediation to divide their assets. They divided half a million in assets in thirty minutes, but the process ground to a halt when they reached a pitchfork and two hurricane glasses from Pat O’Brien’s. They settled at mediation after spending 2.5 hours and over $1,000 in attorney fees fighting over the glasses and pitchfork. Three months later, they remarried. This client’s story is the last, and almost certainly the best. The client and his ex-wife lived 30 minutes apart, and the mother taught at the school her daughter attended. Every day, the ex-husband drove to the school to pick up his daughter. He would let her run on the playground to burn off energy, and the mother would come out and spend some time with her before they left. On this particular day, he ate at Wee Man’s Chronic Tacos for lunch. As we all know, Mexican food can do quite a number on the digestive system. Half an hour later (10 minutes before he has to pick up his daughter), he tries to let out some gas. Only, he gets a lot more than he bargained for. After checking himself to make sure nothing shows, he picks up his daughter and tells her they can’t play today because “Daddy had an accident.” She understands, and they leave. In his panic about the “accident” however, he forgets about the mother’s time with the daughter. When he gets home, he’s missed 20 calls and has just as many voicemails. The man looks at his lawyers. The lawyers look at him. They give him the “go on” look, smiling because they know what’s coming. In front of his ex-wife, the judge, the bailiff, and the court stenographer, the man tells the story of his fateful encounter with Wee Man’s Chronic Tacos. As the story progresses, the judge’s hard stare disappears, and she covers her mouth, trying to keep herself from laughing. The husband gets off the stand. The tales recounted here were collected from a discussion thread about crazy divorce stories. No Woodruff Family Law Group attorneys, clients, or employees are represented or alluded to in these stories.